Hear West Oahu College (Now UH West O‘ahu) alumna Mila Medallon-Ka‘ahanui recount her time as a student at the college, what sparked her interest in social sciences, her work in the field of social work and her advice for current students. I was born and raised in the Philippines. I was the first of seven children. My mother was a school principal and my father was a WWII veteran. I grew up in the Muslim region of Mindanao and later in the central province of Tarlac. 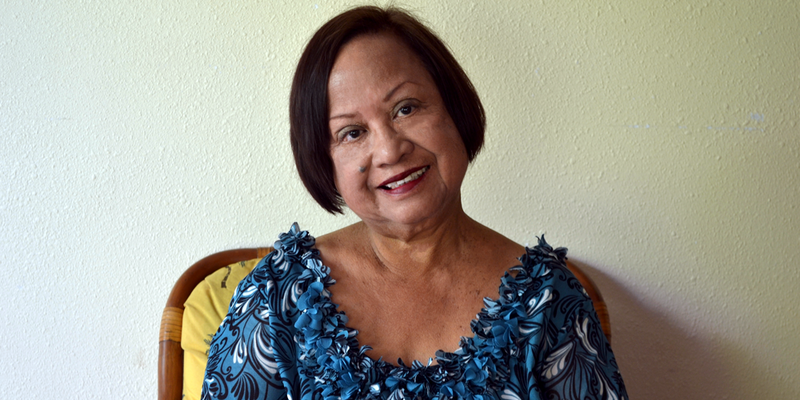 I’m a 1966 graduate of the University of the Philippines and I worked as a college librarian before immigrating to Hawai‘i in 1968. It was tough starting a new life, alone and being away from my family for the first time. Finding a job was equally daunting and challenging. It took a while to get adjusted, but giving up was never an option for me. Dreams of a better future kept my hopes high and my mind transfixed on my goals. I’ve since grown new roots and established myself in Hawai‘i. My interests and activities mostly centered around social justice advocacy after graduating from West Oahu College (now UH West O‘ahu) in 1977 and UH Mānoa in 1979. I’ve served as Chair of the Filipino Coalition for Solidarity, Task Force on Police Abuse against Filipino Youth in the 1970s. I organized the United Group of Home Operators, pushed for major regulatory reforms to protect the elderly by requiring mandatory licensing of all care facilities and mandatory training for caregivers. I also advocated for state services and resources for newly arrived WWII Filipino veterans in 1992. I’m unabashedly blueish and progressive in my political views, but old fashioned in keeping old family values and traditions. What first sparked your interest in social sciences? Why do you enjoy it? I’ve always been interested in the helping profession, and becoming a social worker was what I’ve always wanted to do. I find it so gratifying to see positive and sustainable changes in people’s lives. I needed to complete an undergraduate degree, preferably in the social sciences, before being admitted to the UH School of Social Work in the mid-1970s. 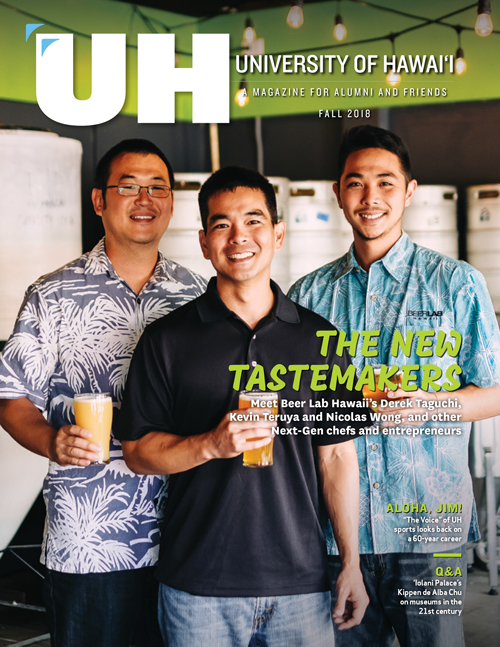 Why did you choose to attend West Oahu College? At that time, online courses were non-existent. West Oahu College offered convenient and flexible programs for non-traditional students interested in earning a college degree. It was convenient for people with busy lives and careers who could not attend college full time. What is your fondest memory of West Oahu College? It was a transformative experience for me. It was like turning on a switch in my mind signaling me to move forward and work toward my dream of a better life and making a difference in other’s lives as well. I enjoyed the small class sizes and the emphasis teachers placed on giving students individual attention. I remember the sense of camaraderie and being inspired by other non-traditional students who were self-motivated and clear about their goals. In 1974 I opened a care facility. The home-based work allowed me to care for my son and to support my educational goals. I also worked as a geriatric social worker in 1985 at Catholic Social Services. I was appointed to serve as state Immigrant service center director in 1987. I worked as Filipino Veterans Coordinator at the State Office of Veterans Services in 1992. In 1994 I was appointed by Mayor Jeremy Harris as Director of the Municipal Research and Records Center. In 2010 I was appointed by Governor Neil Abercrombie as Executive Director, Office of Community Service in the Department of Labor and Industrial Relations in 2010. I retired in 2014. Believe in yourself. Follow your passion. Don’t give in to negative self-talk and the opinion of others. Stay focused. Be mentally tough. Do what it takes to accomplish your goals. Keep challenging yourself. Push hard to do things that you think you can’t do.